Ray serves as the Director of UCF’s Florida Space Institute. Prior to this appointment, he served as Director of the National Aeronautics and Space Administration’s John H. Glenn Research Center from 2010 to 2013. There he was responsible for planning, organizing and directing the activities required in accomplishing the missions assigned to the Center. Prior to this appointment, he served as Glenn’s Deputy Director from 2007 to 2010. Prior to his positions at Glenn, Lugo served as the Deputy Program Manager of the Launch Services Program at NASA’s Kennedy Space Center and was principally responsible for managing, directing and evaluating the progress of all ongoing launch operations and activities including Expendable Launch Vehicles engineering and analysis, payload integration, launch site support and launch campaigns. 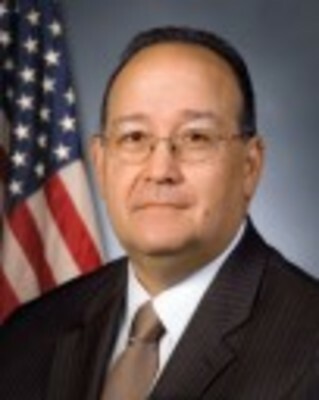 Lugo began his NASA career at Kennedy in 1975 as a cooperative education student. His first assignment was in the Construction and Modifications Branch as an engineer responsible for construction modifications to Launch Complex 39A in preparation for the first space shuttle launch. Since becoming a member of the Senior Executive Service in 2001, he served as the executive director of the Cape Canaveral Spaceport Management Office. Other leadership positions include Director and Deputy Director of Expendable Launch Vehicle Services Program, Manager of Facilities and Support Equipment Division in the Space Station Project Office, and Chief of the Business Office of the Joint Performance Management Office. Lugo has received numerous honors, including two NASA Exceptional Achievement Medals for contributions to the Galileo Mission and the Space Station Redesign, and three NASA Outstanding Leadership Medals for his instrumental role in the Expendable Launch Vehicle Program Transition. Lugo earned a Bachelor of Science in engineering in 1979 from the University of Central Florida and a Master’s Degree in engineering management in 1982 from the Florida Institute of Technology.